This article is not intended as a hoorah, get in there at all costs motivational speech. This is simply taking some of my experiences and trying to pass on the good and bad. Because of my rank and our Truck Co seat assignments, primary search has just happened to be the most common fire ground function I have been apart of. It has evolved a great deal for me over the years and I have had many great fire officers that I searched with. All of this put together has really changed the way I look at a fire building and how I search it. Our Truck Co’s are privileged with our response and staffing allowing us to be dedicated to search without compromising the Engine getting the first hose line put in place. 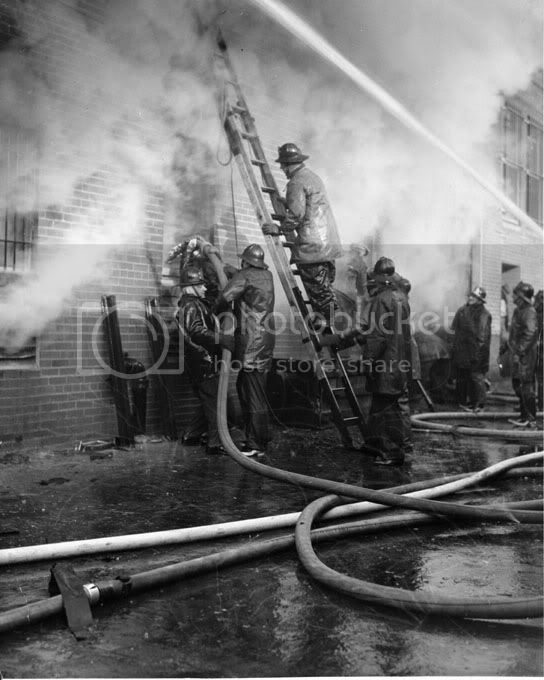 Although this is a search based article, it still revolves around the first hose line doing good work. 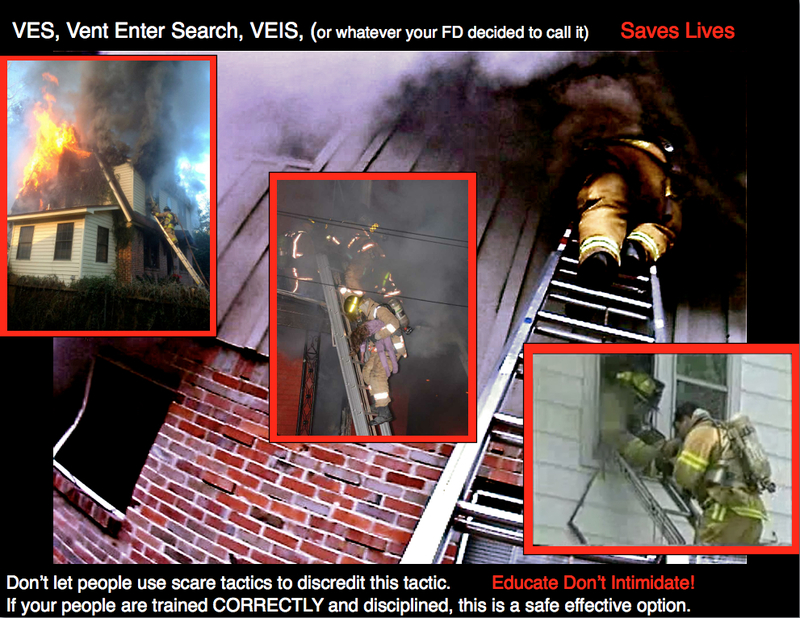 “Searching For Opportunity” is a mindset that I have tried to personally adopt when it comes to assessing and performing primary searches or VES on the fire ground. I try to look at any fire building in a very optimistic way when it comes to conditions v.s. survivable space. When I say optimistic, I mean to alway assume that one of the four sides of the fire building will have survivable space for potential victims and the only thing that will change this opportunity to search is the conditions found when we actually lay eyes on it. A one room fire makes this very easy, a well involved building changes the options a little bit. The street side view of the fire conditions is merely a first impression, I am still looking for opportunity. Where are the most threatened rooms, what still has a chance, and where are the people inside most likely to be at this point? All things I try to think about at any fire. I don’t think it is fair to immediately rule out the chance of victims surviving in a building from the first one-sided view you get at the sidewalk. It does not tell you enough and it is the pessimistic approach to primary search. I think “searching for opportunity” is a very similar motto to “expect fire”, I am sure most of you have heard of that mentality. Expecting fire is the mental preparation and actions of always expecting a fire when we get sent out the door on a fire run. This mindset makes it much easier to tone down our pace after the on scene information and conditions confirm that we can and at the same time when it is a working fire you are not surprised, because you are the Fire Department and thats who they call for fires. This same idealolgy applies to the search team on the fire ground. We should always be expecting victims to be inside and basing our actions off this opportunity to make a rescue. Now this is the internet, so here is where I insert the disclaimer: This is not where you assume I am saying dive through windows that are venting fire and lose all discipline. Instead I think it is a healthy mentality for us to expect that civilians are inside and search for any opportunity to effect a primary search based off of fire conditions, good size up, disciplined training and experience telling us where they most likely are. Just like expect fire, we do not change our game plan because of a screaming neighbor saying people are trapped or a police officer telling us everyone is out. That is simply fire ground information and we shouldn’t let this amp us up, or even worse deescalate our motivation for a primary search. One specific experience that happened to me several years ago is worth passing along and directly speaks to this mindset of expecting rescues. We were sent to a house fire with reported explosions, updates were multiple burn victims in the front yard and dispatch reported twice that everyone was out of the building. This report was confirmed by the homeowner of the house “everyone is out of the building”. There was a large body of fire venting from this house along with a fully charged attic space. Inside the home we found an infant still in her crib. This is the only victim I have ever removed from a fire that was completely ok and survived, and it just happens to be from a fire scene that the homeowner confirmed everyone was out of. He had forgotten that his buddy helping him that day left his child inside the house while they worked on a car together. The trauma of everyone being burned severely caused his mind to slip outside of normal operation, this is a typical human response to tragedy and chaos. We cannot expect civilians to give us accurate and timely information, however they should be able to expect us to keep our cool and search the building to the best of our ability. Information from homeowners, bystanders and so forth should not be treated as golden information that we base all of our actions upon. We are the professionals and should be taking actions based off the fire conditions and the potential search opportunity. The bystander information should simply be extra credit in the size up, you can take it or leave it but you can’t rely on it and be successful. I have had fatal fires that we recieved zero information from people standing in the front yard, and then we found victims during primary search or hose line advancement. The following example is almost worse for the firefighter and his discipline. The number one most common face to face intel I have received from next door neighbors is them reporting people are trapped inside. Every single time I have had reported trapped parties on scene from neighbors, it has turned out to be untrue. This is just how the majority of society works, when fires happen they lose much of their rational thought and assume the worst. They are pessimistic about anything relating to the current situation and begin to verbally spill it out. “People are trapped”, “It is going to blow up”, “It’s going to spread to my house” “What took you guys so long”. You have all heard it and know what I am talking about, it is truly just words falling out of their mouths because the current situation is too much for them to take in and process. Allowing bystander information to elevate the pace of our fire ground and change the way we look at searches is a time bomb waiting to go off. When this bomb is dropped by the anxious neighbor or the drunk roommate it will instantly cause anxiousness and tunnel vision in the responding firefighter if they were not expecting rescues. For the mentally prepared and disciplined firefighter it should be nothing more than a small amount of information that allows you to be that much more effective and accurate with the location of our search. We should be the victims optimist until proven otherwise! If we stay well trained and disciplined it allows us to take decisive action and truly make a difference when the minutes really count. When we assess the full picture and decide that a search cannot be made before some type of water application, we’ll at least know that we have done our best to ensure anyone inside had their best chance of us finding them. If we search for opportunity at every fire and only let fire conditions be what rules out survivable space, then we avoid the pitfalls of bad information or making bad judgments from a one sided view. Let us be the ones that make the expert decision on when to search ahead of the line, when to search coordinated with the attack or when we simply have to wait until after the attack has commenced. That is our job and it is why we need thinking firefighters that thrive on making decisions in that environment. Expect victims and search for opportunity. This video starts out a little slow because it shows the response to the fire, however if you skip to the on-scene footage it is worth the wait. The truck arrives in the video at about the 1:30 mark. This video has been around for a couple years and provides some good training footage, it originates in Columbus Ohio. The first photo we have posted just gives you a clear day time view of the street and occupancy. A couple things to notice in the video. It appears that when the rig arrives there is already at least 1 engine and 1 truck on scene. The engine is getting a line flaked out and the truck appears to be getting ready to make a search of the floor above. There does seem to be a slight delay in getting water to the line, with that said we are not sure if it was a problem at the pump, or just a normal delay from performing a reverse lay to the hydrant. The video captures some good fire development and the speed at which it can be knocked down. We will let the video speak for itself. Something that stands out to us is how much everyone is counting on each other. The truck crew is heavily relying on the engine to make a knock down and the engine crew is relying on the truck crew to make the rescue so they can focus on extinguishment. Obviously the citizen (unconsciously) is relying on both crews if they have any chance of making it out of this building. If either crew would have not done their part on this fire, the outcome could have been much different. From our research we found that the first arriving units had no reports of victims trapped. This victim was pulled out unconscious with some 2nd degree burns but had reportedly survived the fire. We welcome any thoughts or discussion on this video, please keep it productive and related to learning as much as we can. I think we can agree that videos only give us a small look at these scenes (that we were not on) and it becomes very easy to pick apart the things that went wrong. However they present a greater opportunity to discuss lessons learned, what went right and what we may change next time. We think this specific video brings up some excellent points such as: Search priorities? Ladder work/Egress ladders? Where do you take the 2nd line? Ventilation on this structure? Bringing your own water or not?….and many more. Engine ? arrives with fire showing 1st floor, confirmed child trapped on the 2nd. Elgin Fire Department Battalion Chief Terry Bruce said once emergency personnel arrived, they soon were informed by occupants that a baby boy remained inside, sitting in a high chair on the second floor of the tri-level home. He said Elgin firefighter Kevin Hartmann went inside and was able to find and remove the child just as smoke was entering the room. “The smoke was just starting to build up right near the baby,” Bruce said. “Another couple of minutes and the baby probably would have been overcome by the smoke.” Three dogs also were rescued from the home, Bruce said, but a fourth was not recovered. An already highly emotional scene became even more dramatic, Bruce said, when the baby’s father suddenly became irate and began to assault several firefighters, requiring Elgin police to restrain him. The baby’s grandmother tried to put out the fire when it started, but she had to leave the home, Bruce added. The blaze, which started in the first-floor bedroom that belonged to the boy’s father, was brought under control in about 30 minutes, Bruce said. We don’t want to arm-chair quarterback these guys because the bottom line is they made a save in a situation that they were behind in from the time this man started the fire. That being said we would like to hear your thoughts and points that we can learn from. Firespread?….Rescue?…Next in assignments? What do you think. Answer in the comment box if you have any.